This new two-story ambulatory surgery center with physician’s offices is the second on this property for Washington University School of Medicine in a partnership with BJC. The new facility houses services such as internal medicine, radiology, obstetrics and gynecology, ophthalmology, neurosurgery, and orthopedics. The facility is approximately 84,500 sq. ft. with brick and curtain wall as the primary exterior wall systems. 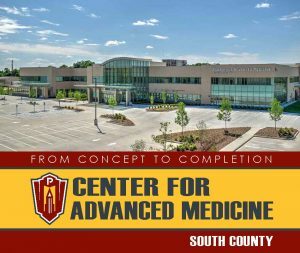 See the complete construction process from start to finish and everything in-between for the Siteman Cancer Center - South County.